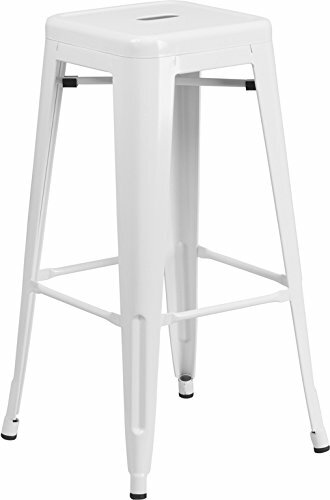 This stool will add a modern industrial appearance to your event. The legs have protective floor glides that prevent damage to flooring. This all-weather use stool is great for indoor and outdoor settings. The unique design of this backless stool can conform in so many spaces, whether paired with our rustic pallet bar or used as a photo prop.